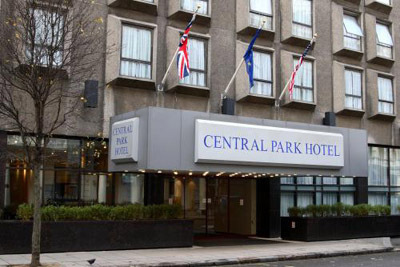 Central Park Hotel, London - What happened to Andrew Moore in this hotel? Before he was deported, Australian authorities booked a room for Mr Moore in the Central Park Hotel for a full month, but he left the hotel after two days and was found fifteen kilometers away. Medical treatment and transport to a hospital could not prevent his death. "Andrew Moore's deportation and subsequent death provides a dismal example of the routine removal from Australia of former residents who pursuant to s501 of the Migration Act have had their visas cancelled as a result of criminal convictions. "In this case, the consequences literally were fatal; in virtually all cases, multiple forms of additional punishment beyond those envisaged or sanctioned by the sentencing court are inflicted..."
"In my view, section 501 and the unaccountable, administrative, subterranean violent practices associated with it should be abolished. "Since its inception, section 501 has justified penal measures against targets whose deviance is constructed as much from their identity as their criminality. "Accepting the legitimacy of section 501 elevates the formalities of citizenship above all other factors used to justify punishment by the state, it undermines the principles of rehabilitation and reintegration, and enforces permanent separation from social and family networks beyond any measure contemplated by the sentencing court." This page opens up the issue of immense cruelty regime associated with section 501 of the Migration Act, under which Australia gives itself unlimited liberties, under discretionary powers granted to the Immigration Minister, to deport anyone who was not physically born in Australia and who has fallen foul of the law during their lives, if this resulted in imprisonment for more than one year. It opens up this issue by means of telling the story of Andrew Moore, who we deported in October 2009 to London. Mr Moore was found dead in a London street two days later. 15 November 2007: Tension, self-harm and protests in Villawood - "Twenty-four hours after slashing his arms, hands and stomach, a detainee inside the high security stage 1 of Villawood detention centre is still without treatment ... others feel mistreated, abused, both through process or lack of process, or through direct abuse by guards..."
Andrew Derek Moore arrived in Australia from Scotland aged 11. Almost 30 years and a string of convictions later, Australia decided he had failed its character test and cancelled his visa. On October 20, after a decade-long stretch in jail and immigration detention and despite serious health problems that were known to Australian authorities, Mr Moore was sent "home". Leaving behind a teenage son and his extended family, the 43-year-old recovering alcoholic was released at Heathrow Airport at 6am with $1000 cash, medication and a hotel booking. Two days later he was dead. British police are now asking why. The Australian Government denies any responsibility. But Mr Moore's death has shone a spotlight on Australia's practice of washing its hands of up to 70 people a year who are Australian in all but citizenship - and often seriously unwell. Unlike the cases of Cornelia Rau and Vivian Alvarez Solon, they attract little sympathy because they are convicted criminals. Some, such as Robert Jovicic and Ali Tastan, have been allowed to return after being found destitute and ill living on foreign streets. Others, such as so-called "one-woman crime wave" Patricia Toia, have strained diplomatic relations by allegedly committing crimes upon arrival in the country of their birth. News of Mr Moore's death has spread among critics of migration policy, who see it as the most egregious example yet of a heartless deportation regime. Peshawa Shalley, a staff member at Central Park Hotel in London, said Mr Moore checked out after a couple of days despite his ground-floor room being booked for a month. The Metropolitan Police said they were called to a block of flats 15 kilometres away in South Lambeth Road on October 23, where a seriously injured man was lying on the footpath outside. He was pronounced dead shortly after arriving at hospital and an autopsy was inconclusive. The death is being treated as unexplained and detectives are investigating it, a New Scotland Yard spokesman said. Mr Moore was no angel. His problems with alcohol and the law began aged 14 and culminated in a conviction for manslaughter after he stabbed a drinking buddy in a drunken brawl in 2000. But his son, his parents, his siblings, nieces and nephews and ex-wife all fought to keep him in Australia, promising to support him if released. Mr Moore's family have so far declined to comment on his death. He was the subject of a talkback radio campaign in Melbourne before his deportation, when host Derryn Hinch said it was a "cynical sick joke on the Australian public" that he had been allowed a TV set and a DVD at Maribyrnong detention centre after escaping in May and turning himself in four months later. He was being "treated like a VIP", said Hinch, and was "swan[ning] around in a blue bathrobe and treat[ing] the place like his own Ritz-Carlton." A source familiar with Mr Moore's case said he was in fact wearing a dressing gown because he was chronically ill.
"His face was like a skull", the source said, his body racked by a failing liver, hepatitis C, fibromyalgia and bowel problems. "A puff of wind would have blown him over." The source said the centre's operations manager later apologised to Mr Moore for the leaks, which he considered payback for his escape. The refugee advocate and former ABC journalist John Highfield said criminal deportees attract little sympathy but the policy has far-reaching consequences. "It's beyond the criminals themselves. It's a punishment on the families as well. Andrew has a 15-year-old son who is now grieving and wanted to be with his father despite his record." Professor Louise Newman, director of the Monash University Centre for Developmental Psychiatry and Psychology, said Mr Moore's death demanded a review of how the Immigration Department assesses the travel risk for deportees. "At what point do we decide that someone is actually fit, particularly if they have mental health or other significant issues? "People with significant problems, whether they are criminals or not, need a full risk assessment. It's a very hard thing for them to make a transition like that." A spokeswoman for the Immigration Minister, Chris Evans, declined to comment on the case, saying deportations were an operational matter for his department. An Immigration Department spokesman said Mr Moore was assessed as fit to travel by International Health and Medical Services, was provided with medication and was due for a clinical review on October 26, the day his family reported him dead. Heathrow Travel Care was supposed to meet him upon arrival but was not available until business hours, so he said goodbye to his minders and made his own way to the hotel. He had a "destitute allowance" of $700 and a $300 "cold weather clothing allowance" and made contact before his death with a social services agency engaged by the Government called Prisoners Abroad. "The department made all appropriate arrangements for his return," the spokesman said. "The Government does not consider itself responsible for Mr Moore's untimely death and extends its condolences to his family and friends for their loss." Senator Evans has said he remains determined to deport foreign-born residents convicted of serious crimes, no matter how long they have been here. It is estimated that about 70 people a year are deported for character reasons. Most - up to 40 - are sent to New Zealand, to its government's dismay. According to the Commonwealth Ombudsman, the offences committed by them are typically drug-related, or involve property and theft crimes, armed robbery or assault. They make up a significant portion of those in immigration detention and some spend longer there than they spent in jail. Until 1999, anyone who had lived here for more than 10 years could not be deported. The Howard government toughened the test, resulting in the high-profile cases of Jovicic, Toia, Stefan Nystrom and Ali Tastan. The Rudd Government softened the test in June, making the length of time a person has been in Australia a primary consideration. But Michael Grewcock from the the University of NSW law faculty says those changes have had no discernible effect, and the practice should be abolished. Dr Grewcock told a conference in Perth last week that while the facts of Mr Moore's death remain unclear, his case "provides a dismal example" of the deportation policy. "In this case, the consequences literally were fatal; in virtually all cases, multiple forms of additional punishment beyond those envisaged or sanctioned by the sentencing court are inflicted upon the prisoner. This not only has damaging individual consequences but also has the potential to undermine parole, risk assessment and the nature of the sentencing process as a whole. "Moreover, the operation of s501 allows for inconsistent and discretionary political interventions against unpopular and often very vulnerable prisoners." "At a minimum," Dr Grewcock said, "some systematic scrutiny of it is required." It is not intrinsically harsh that non-citizens convicted and sentenced to jail for more than a year be liable to have their residency revoked, and be deported. It is facile to suggest criminal foreigners have the right to live unhindered in Australia. But the manner in which "undesirables" are handled is questionable. The death of Andrew Moore only days after being deported to Britain from Australia must force a review of how such matters are handled. It is only a year since I narrowly avoided deportation - thanks to a judicial appeal - and the recollection still makes me shudder. In 2004, I was jailed for a minimum of 4½ years for a drug importation offence. From the outset, I figured Immigration might come gunning for me. Six months from my release, Immigration told me I'd possibly be turfed out of the country, and gave me 14 days to respond. My response was duly filed, and I spent the next five months waiting for word. Eventually, I was told the work was done and I had only an outside chance the decision would go against me. Anxieties were dispelled and plans to enroll for university were finalised. Those who have not spent years trying to keep body and soul together in jail can only imagine the exhilarating feeling of impending freedom. At 6pm on my final day inside, the governor called me to the office. "We can say you're going to be released tomorrow," he said. "But you're not going home because Immigration are coming to pick you up and you'll be going into immigration detention." With that bombshell began my battle to remain in Australia. The departmental notification - all 12 pages of it - suggested I might be eligible for immigration bail pending any appeal, but that was wrong. On arrival at Maribyrnong Detention Centre an official apologised for the mistake and said it was all done in haste. I could not get bail, and had only seven days to appeal. Maribyrnong was a bewildering hellhole. I had to find a lawyer, lodge a written appeal and attempt to bankroll what seemed like a second trial for the original offence. The appeal requirements are such that detainees have two months to retain a lawyer, brief them, build a case and submit the entire defence argument to the Administrative Appeals Tribunal, or the cancellation stands. And it must be paid for, difficult on a prisoner's savings from wages of $30 a week in a chaotic detention centre, where the atmosphere is toxic with dashed hope. Immigration detainees lack the certainty of an end to their misery that a jail sentence offers. The pressure can unhinge some people. Jail was a holiday camp compared with the violence and psychological turmoil of immigration detention. Detainees often break under the strain and the demented screams of such cases can often be heard echoing through the centre. Fist fights and vandalism are everyday occurrences. Windows are smashed, fittings destroyed and brawling breaks out over trivialities. Everyone's nerves are raw and people spoil for a fight. Among this, Immigration staff breeze about placatory and mild, reminding ex-prisoners they just have to say the word and they can be off out of the country. They say you can be out on the street as soon as you land, but the truth is less simple. In the cases of deportations over criminal matters in Australia, the police are always waiting for the returning ex-prisoner. Some have been re-tried for their original offences in their home country and sent back to jail. If they want to stay in Australia, many ex-prisoners spend years waiting - longer than their sentence, trying one legal avenue after another. Immigration lawyers agree the deadlines for reviews are tight and often require near-herculean efforts to make the cut. In my case, the tribunal member John Handley was less than impressed at me being told only at the eleventh hour of my impending detention. "If I was of a more cynical turn of mind I'd call this abuse of process," he chided the counsel for Immigration. The process is a reminder of how unforgiving society can be over mistakes long in the past. Non-citizens who have offended decades ago, before it became a priority to deport ex-prisoners, have been known to have had their visas cancelled. Society has a long memory for wrongdoing and rehabilitation can be an inconsequential detail. In a classic Catch-22 situation, prisoners who are not citizens have been denied rehabilitation programs while still in jail, even though these programs are essential for their parole. This prevents prisoners demonstrating they have tried to mend their ways, and denies them this argument in any visa cancellation appeal. Andrew Moore was not denied rehabilitation, but he was the victim of a steely and unforgiving process. He was extremely ill. In Maribyrnong detention centre, where I knew him, he was a sick and broken man who wore his despair like a shroud. He accepted he'd had a larrikin past but his gentle concern for others showed a sincere and kind-hearted person. A mutual friend who had seen him in Australia said freedom had nourished him. He had looked 100 per cent better than the frail and tremulous ghost he'd known inside. And Moore told him he would sooner die than be deported to Britain. Royal Abbott is a Melbourne journalist. The dire health of 32-year resident Andrew Moore, who died two days after being deported, was exacerbated by poor medical treatment in immigration detention, according to a lawyer familiar with his case. The claims came as a disagreement over a bungled aspect of his case erupted yesterday between the government and the Commonwealth Ombudsman, who had recommended Moore be allowed to enter community detention to recuperate before his deportation. "[I] had the dubious honour of helping a dear friend to turn himself in to immigration. Go well, mate!" Melbourne lawyer Jessie Taylor, who accompanied Moore when he turned himself in to immigration authorities in September, said he was seriously ill, was "vomiting most foods", and was promised a doctor immediately upon his return to Maribyrnong detention centre. But he received only a check-up by a nurse and a Panadol, she said - which he couldn't take due to his liver disease. When she visited the next day, Ms Taylor was told Moore was "too sick to receive visitors," she said. "if a man dies in detention this w/end, it will NOT be because GS4, immigration & IHMS were not pre-warned. Pathetic, incompetent & negligent." Moore was assessed fit to travel in October despite being hospitalised twice for suspected heart attacks in the months leading up to his deportation, Ms Taylor and others associated with the case said. "We rang the Minister's office, we rang [the Department at Maribyrnong], we rang [the detention centre operator GS4 at Maribyrnong], we rang [the medical team at Maribyrnong], we rang everyone," Ms Taylor said. "They were more on notice than any Minister, department or contractor has ever been of anything, ever." The Immigration Department says Moore received appropriate care equal with what is available to the greater community, and declined to comment on Ms Taylor's claims while a coronial inquest is underway. A 43-year-old alcoholic with liver failure, fibromyalgia syndrome, hepatitis C, chronic fatigue and depression, Moore failed the Migration Act's character test after serving a sentence for manslaughter. He was released at Heathrow Airport in October and died soon after in unexplained circumstances on a London street. The Herald understands his immigration case officer, who attended the 43-year-old Scotsman's memorial service, is devastated by his death and has taken stress leave. The Immigration Minister, Senator Chris Evans, his department and the Commonwealth Ombudsman all pointed the finger at each other yesterday over why Moore was not allowed to be treated in the community, as three doctors had recommended. Mr Evans's spokeswoman said he never received a community detention request for Moore, despite it being mentioned in a review of his case by the Commonwealth Ombudsman, Professor John McMillan. He decided not to intervene on April 27 before he had read the Ombudsman's report which was tabled in parliament on May 12 but the Ombudsman says the report was sent to the minister on April 24. A spokesman for the Immigration Department said the Ombudsman had misinterpreted its advice, which was badly worded, and that Moore was not in the end deemed suitable for community release. But a spokeswoman for the Ombudsman said he would have amended his report on Moore if he believed he had misinterpreted any information. "He has not issued an amended report," she said. 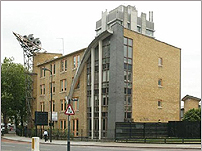 An inquest into Moore's death has been scheduled for 26 March next year at London's Southwark Coroner's Court. FN1 - this twitter account is no longer active, but the archived version was found through a very long and complicated internet search, using the Internet Archive WaybackMachine, the Google archives and in many other ways - don't ask us how, because we don't remember! Repeated warnings were made about the dire health of a man before his deportation from Australia this year and death in London days later. The Commonwealth Ombudsman recommended that Moore, who had served a sentence for manslaughter, enter community detention in April so he could get specialist medical treatment. The 43-year-old recovering alcoholic was racked with liver failure, fibromyalgia syndrome, hepatitis C, chronic fatigue and depression. He arrived in London in October and was found dead on a street two days later. Three doctors had warned the Government in 2007 that his illnesses would not improve while he was in full detention. On May 12, Immigration Minister Chris Evans announced he would not intervene in Moore's case, saying he had "decided that it was not in the public interest" to do so. Three days later, Moore escaped from Maribyrnong detention centre during a visit to a medical specialist. He turned himself in in September. A spokeswoman for Senator Evans said he was never presented with a community detention request for Moore, but was merely asked to consider whether to intervene to grant him a visa. She said Moore received appropriate medical care for his conditions. Andrew Moore was born in Scotland and came to Australia at the age of 11. At the age of 43 he was deported from Australia having failed the "character" requirements of citizenship after a string of offences. He was also an extremely sick man. This incident is a particularly appalling case. Mr. Moore suffered from Hepatitis C, liver failure, fibromyalgia, and alcoholism. He was nevertheless declared fit to travel in a risk assessment procedure. He was left at Heathrow with $1000 (about £550) and a hotel booking for one month. Three days later he was found seriously injured on a footpath in London 15 kilometres from the hotel. He subsequently died. Australia, like other countries, regularly deports foreign undesirables. Most are deported for criminal offences. Moore, who already had a record, was convicted of manslaughter in a brawl, stabbing to death a friend in 2000. Mr. Moore also attracted a lot of publicity from a shock jock, although that's not exactly a statutory process, and it's not known if that had any effect on the decision to deport him. Although Moore's record was pretty grim, it has to be said that his medical condition was such that at the time of his deportation he was apparently more of a risk to himself than the community. The Australian government denies any responsibility for the death. The Minister for Immigration, Senator Chris Evans, has stated that the policy will remain in force. It's not clear on what basis Mr. Moore was declared fit to travel. Any one of his known major medical issues could be considered dangerous. Mr. Moore was described as being in particularly poor physical health. There's no indication from available information whether his ability to manage the situation was evaluated. Mr. Moore's extended family was in Australia. It's unknown if he had any relatives or family support in the UK. Legal experts are now questioning the entire process of conviction, indefinite detention in immigration centres, and subsequent deportation on the basis of "additional penalties". This is seen as "undue process", for several obvious reasons which appear to have escaped the attention of courts and lawmakers. Mr. Moore's family tried hard to keep him in Australia, and one of the major effects has been to penalize the family. Any possible legal liabilities on the Commonwealth aren't clear, but it'd be a very interesting piece of law if the court agreed to hear a case. The policy of deportation of immigrant criminals isn't unpopular in Australia. This case, however, is considered to cross the line of justice in far too many ways, and has produced unanimous condemnation. Australia is a signatory to international conventions on human rights, and makes a habit of stressing its humanitarian record when it's politically convenient. Australia's Human Rights Commission begs to differ on many counts regarding section 501 of the Migration Act 1958, the section under which Mr. Moore was deported. Section 501 also contains a reference to persons sentenced to death. The death penalty was abolished in Australia in the 1960s. Foreign criminal law relates to other legal processes. It would be appreciated if the Commonwealth government would kindly condescend to take note of such things in the course of reviewing legislation, preferably in less than 40 years. Any reasonable assessment of this case would have required that Mr. Moore's obvious medical condition alone would have merited more than the mere appearance of applying proper statutory procedures. There are discretionary powers granted to the Minister for Immigration to make rulings in cases like this, and those powers obviously weren't used or understood. Any possible involvement of media in the application of Australian law isn't particularly encouraging, either. Australians prefer to think that unelected media hacks don't dictate immigration policy. I think Australian courts, particularly the High Court, and the public, would be interested that a phrase like "natural justice does not apply" exists in any Australian legislation. Would Australian politicians kindly note they are supposed to be passing valid legislation, not adding methane to the atmosphere, when voting on these subjects? There is no basis, including theoretical, upon which any Minister can contravene principles of justice. The death of Andrew Moore in London has highlighted the need for the Government to review its criminal deportation policy. Every year the Immigration Department deports up to 70 people deemed to be of undesirable character back to their country of birth. Moore's established criminal record made him a typical deportee. But he was also typical in two other respects that reflect poorly on the department's policy. First, Moore, a recovering alcoholic, was known to be seriously unwell with hepatitis C. Too often criminal deportees have serious physical or mental health problems, and may arrive in their country of birth sick, disoriented and vulnerable, a risk to themselves and perhaps others. In 2004, Robert Jovicic, a heroin addict with a long criminal record, was repatriated to Serbia, the country he had last seen when he was two years old. Ineligible for welfare assistance, he lived in a tent outside the Australian embassy until he was allowed to return to Australia in 2006. In 2003, the mentally ill Ali Tastan was returned to Turkey which he had left aged 12. 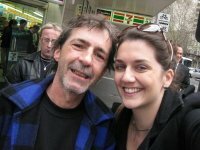 He was allowed to return to Australia after spending three years homeless. The cases of Cornelia Rau and Vivian Alvarez Solon - though neither of them were criminals - also underline the potential for serious injustice posed by reckless deportation. Second, like many other deportees, Moore was an Australian in all but citizenship, having spent the great majority of his life - 30 of his 41 years - in this country. He had a teenage son and other family who wanted him here but he was ejected on a technicality. The rough justice involved in sending repeat offenders who happen not to be Australian citizens back to their country of birth has a certain immediate appeal. The idea that those who do not choose to be citizens of this country should abide by the law or clear out is easily understood. And the crimes typically involved - drug-related theft and assault - are antisocial in the extreme. Australian society is unlikely to benefit by keeping such people. But that does not mean Australia should dump them just because it can. Australia may not be the country of birth, but it is the land in which these offenders were brought up, and whose conventions and habits they understand - for good or ill. Most fair-minded Australians would recognise such people not merely as troubled, but as troubled Australians. The numbers of offenders involved are not large. Australia does not absolve itself of responsibility for problematic individuals by twisting its citizenship laws to get rid of them. Australia's immigration system allowed a 47-year-old man, who had lived in Australia for more than 30 years and had strong familial and community ties here, to be deported back to the UK where he died two days after arriving at Heathrow. The case of Andrew Moore should shock us all. Moore had served a term of imprisonment for manslaughter and under the Migration Act he can be deported once he has served his jail time. In October this year, the Rudd government allowed Moore, who was suffering from liver disease, fibromyalgia syndrome, hepatitis C, mentally illness and was a recovering alcoholic, to be dumped in London and left to fend for himself. He was found dead two days later. Not our fault, says the immigration minister Chris Evans. Five days after Moore's shocking case was raised by University of New South Wales researcher Michael Grewcock and Joel Gibson in The Age and Sydney Morning Herald, the caravan appears to have moved on. There is no hue and cry, only a handful of outraged phone calls to talkback radio and fuming letters to the editor. Andrew Moore's case will be forgotten, just like so many others who are victims of the deportation system. Take, for example, Moore's compatriot Michael Evans. I acted on a pro bono basis, along with two other Tasmanian lawyers, for Evans some years ago. His was a case equally as sad as that of Andrew Moore. Michael Evans, a man in his 60s, had lived in Australia since 1977 with his family. Depressed because he thought he had been diagnosed with a terminal illness and fuelled by alcohol, he shot his wife, injuring her, and was charged with attempted murder. He served a short term of imprisonment and the Australian government told him he would be deported back to the UK. Evans was a very ill man. He suffered from several physical ailments, and was reduced to a wheelchair by the time his deportation came around. He had no family support in the UK. After Evans lost a Federal Court appeal at the end of 2006 he was put on a plane and sent back to the UK. What happened to him I don't know, but what I do know is that when I last saw Michael Evans in early 2007 he could hardly move and there was no one to meet this very sick man at the other end. A recent paper published by Dr Grewcock outlines in detail just how immoral the system of deportation of non-citizens convicted of criminal offences in Australia really is. Dr Grewcock highlights other examples that are on a par with those of Evans and Moore. In September this year, for example, Australian authorities chartered a plane to deport to New Zealand a 31-year-old woman who had lived all her life in Australia and who lived on the streets and suffered mental illness. The bottom line is this -- Australia regularly deports individuals with severe physical and mental illness without a care as to what happens once they leave our shores. Dr Grewcock says that at any one time there are 20-40 people who are detained by authorities with a view to their being deported because they have committed criminal offences. Yet despite the occasional story about someone such as Andrew Moore, we generally allow our government to get away with this cruelty. One of the men jailed for manslaughter over the death of Senior Constable Glenn McEnallay has escaped deportation to Tonga even though he has spent more than half of his 21 years in Australia in prison. The best interests of Motekiai Taufahema's seven-year-old daughter, born after he was jailed, tipped the balance in his favour when he appealed against the cancellation of his visa. But his childless brother, Sione, 31, also convicted of McEnallay's manslaughter, will be sent back to the country he left aged nine. A victims' group says the decisions perversely reward criminals who become parents, while refugee advocates say they show the unfairness of the Migration Act's "character test". Although Motekiai Taufahema, 33, had spent 12 of 21 years here behind bars, the deputy president of the Administrative Appeals Tribunal, Robin Handley, found his daughter "loves her father and misses him" and would be devastated if he were deported. Combined with evidence of his rehabilitation, including a non-violent response to being stabbed 10 times by a fellow prisoner, it earned him "one last chance". Mr Handley rejected Sione Taufahema's appeal on the same day, saying the high risk of him re-offending outweighed other factors. Noting that he has spent almost 10 of his 21 years here in prison, Mr Handley accepted the Federal Government's argument that the community would expect to be protected against his violent criminal behaviour. Asked about Sione Taufahema's imminent arrival, a Tongan Government spokesman said in an email, "No comment." The Taufahema brothers were both on parole for a brutal bashing when stopped with four stolen guns in Hillsdale in 2002. Their accomplice, Sione Penisini, shot McEnallay four times. Both brothers were sentenced to 11 years jail after pleading guilty to manslaughter - a result McEnallay's father, Bob, called a "bloody disgrace". Sione Taufahema's deportation adds to a turbulent few years for the Taufahema family. Two of his siblings, Honora and Filisione, are also in jail. Another, 18-year-old Tavita, was shot dead by police in September during an armed hold-up at the Canley Heights Hotel. Last year 16-year-old Chris Emmerson was shot dead by a visitor at the family's Yennora home. The father, Maunaloa Taufahema, said he was happy for Motekiai's daughter but disappointed for Sione, whom he considered Australian, not Tongan. "He has spent a lot of his life in Australia, and to me ... his behaviour was based on the Australian environment," he said. Both brothers have spent only a week or two in Tonga since they left as children and their close families have since moved to Australia and New Zealand. Robyn Cotterell-Jones, from the Victims of Crime Assistance League, said both brothers should be deported as a deterrent. "I imagine victims would feel it's wrong that if you're arrested for murder but you get somebody pregnant you will be able to stay here rather than be deported." Dr Michael Grewcock, an expert on the character test from the University of NSW, said it seemed bizarre to deport one brother and not another: "There's just a general lack of consistency, which is built into the process."